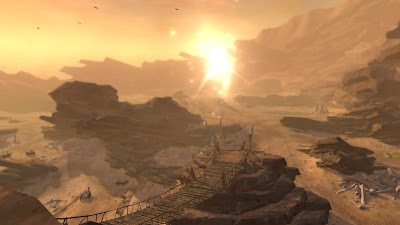 While the scenery remained the same, pre-elemental evil it was actually an enjoyable yet still a little dangerous zone with lots of people often waiting to complete the dragon herald circuit, which would go pretty fast considering there are 5 dragons to kill. With the changes I haven't bothered returning there. Good to know! Nowadays the dragon heralds go unchallenged most of the time. I've been in only one successful kill, where we managed to down one literally one second before the timer ran out. I'm not sure how anyone could kill all of them within that time frame.